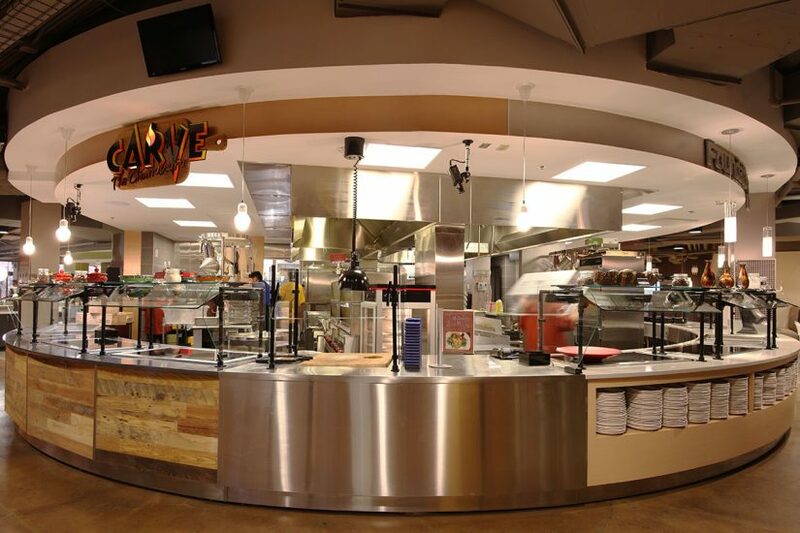 Case Study | Red Jacket Dining Hall | LTI, Inc. 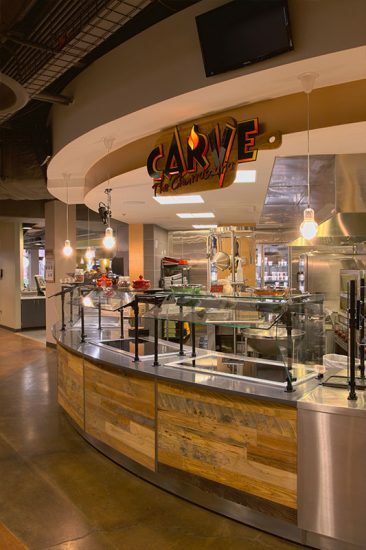 The project involved the renovation of a 21,000-square-foot dining hall, plus an 11,000-square-foot expansion. The projects concept is to deliver a marché or marketplace dining experience. 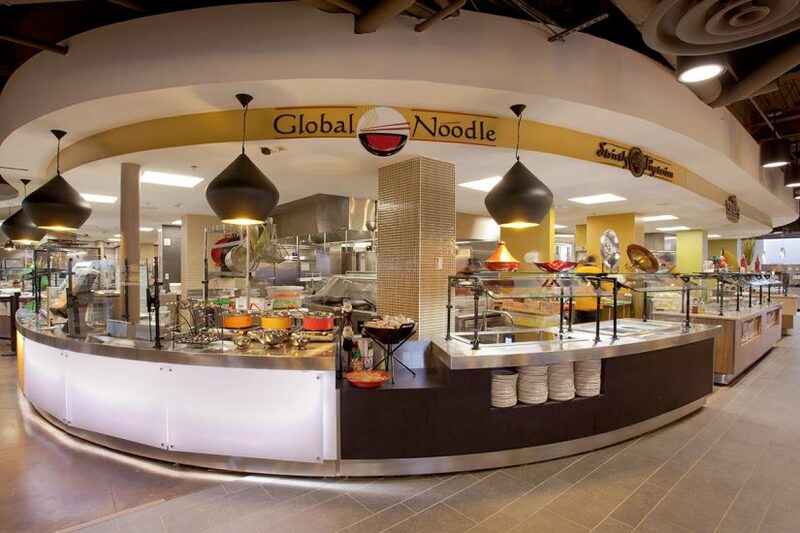 The nine culinary concept stations each has its own seating, décor, lighting and service ware. 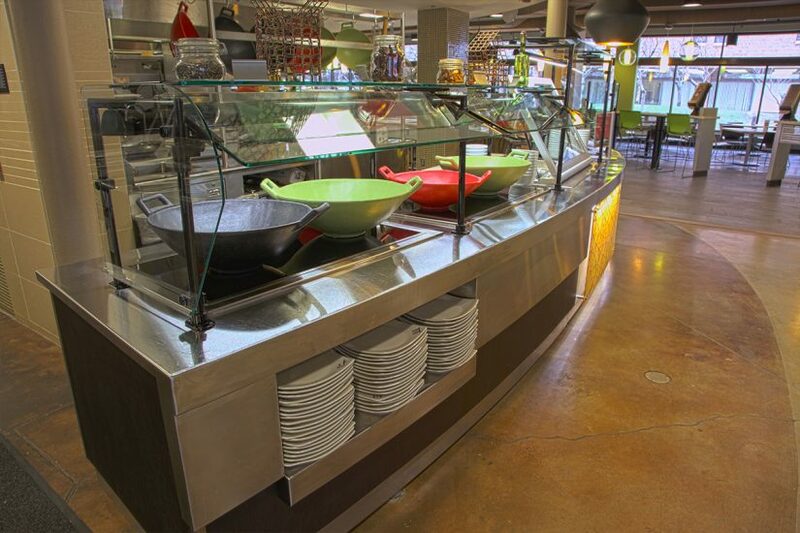 LTI built and installed a variety of custom counters to expand on the design concepts and enhance the dining experience. 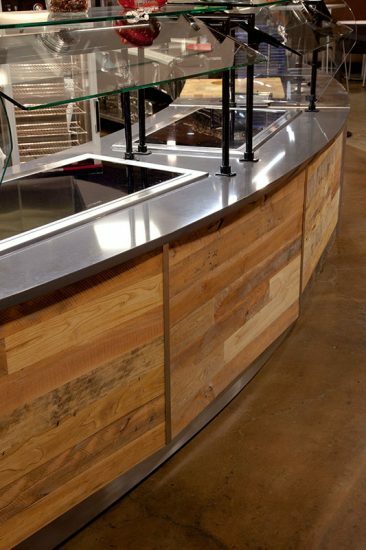 Custom features include a circular counter around a display kitchen and the counters are manufactured from a variety of materials and finishes including: stainless steel, 3-form, laminate, barn wood, Corian, and quartz. 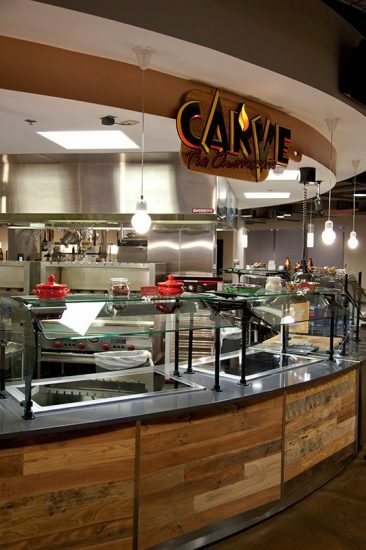 The nine culinary concept stations each has its own seating, décor, lighting and service ware. 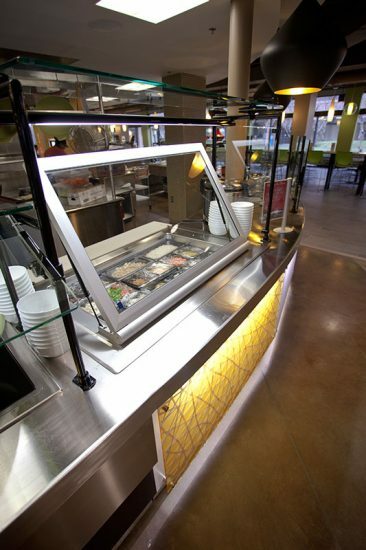 LTI built and installed a variety of custom counters to expand on the design concepts and enhance the dining experience. 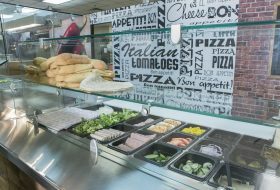 Custom features include a circular counter around a display kitchen, the counter are manufactured from a variety of materials and finishes including: stainless steel, 3-form, laminate, barn wood, Corian, and quartz.